Mike Slater on the Bells Up sorting line during Harvest 2015. Julie Slater pours wine in the Bells Up estate tasting room occasionally during Open House weekends. 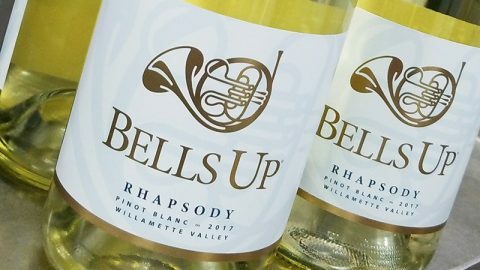 As the Bells Up estate vineyard is still in its pre-production stages—and because winemaker Dave Specter wants to produce pinot noirs that represent the different growing regions of the Willamette Valley—we work with other wine grape growers throughout the area. But, as a micro-boutique winery producing roughly 400 cases of wine annually, we prefer to source from micro-vineyard properties. 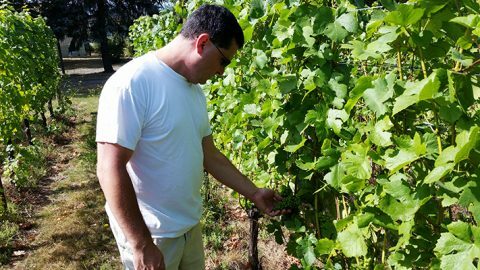 Mike and Julie started planting their vineyard, located in the Yamhill-Carlton American Viticultural Area (AVA), in 2000. Planted in pinot noir Dijon clones 114, 115, 667 and 777, the south-facing site features Willakenzie soil. This sedimentary soil type tends to drain quickly and produce grapes with a more intense flavor profile, even in cooler growing seasons. 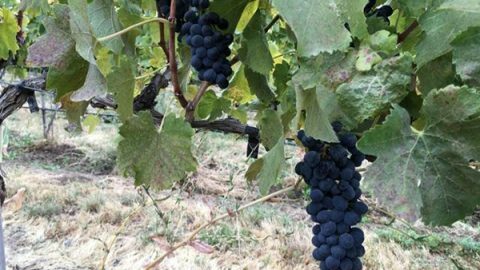 The Tonnelier Vineyard slope rises gently from 460 to 520 feet in elevation, and—in optimal growing conditions—produces super-dark fruit with deep blackberry and plum flavors. 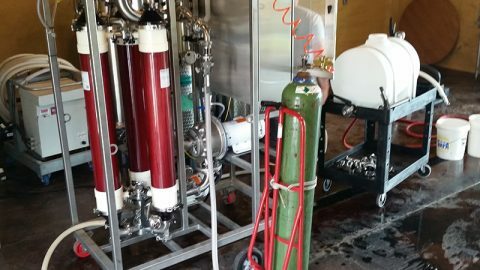 Although they had been selling their fruit to other wineries for years, the Slaters had never had the chance to sample it in barrel until they started working with us, selling us a ton each of their 115 and 777 clones. After our first growing season with Tonnelier in 2013, Dave and Mike worked together to make some small adjustments in farming practices, hoping the tweaks would result in an even better crop in 2014. The resulting wine vastly exceeded both of their expectations. 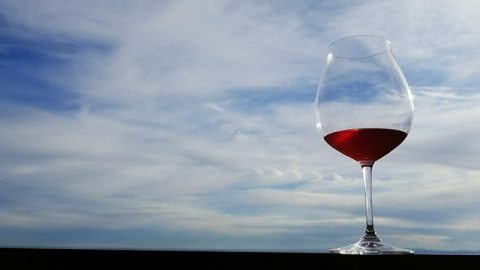 Because of that amazing quality, and the age of the vines, Dave felt it was an easy decision to make our 2014 Villanelle Reserve Pinot Noir exclusively from the Tonnelier Vineyard 115 and 777 clones. The single vineyard designation showcases the care, pride and attention to detail that Mike and Julie put into every row of their estate. But, even better, Mike and Julie have truly become a part of the Bells Up team. On harvest days, they can be found not only in the field, but also on the sorting line (taking all sorts of good-natured ribbing about the specific quality of each cluster). We’ve also been lucky to have Julie behind the tasting table for a day or two of our Open House events, giving guests an insider’s take on the art of winegrowing. So we propose a toast to Mike and Julie Slater and their magnificent Tonnelier Vineyard with (what else) 2014 Villanelle Reserve Pinot Noir—yours to enjoy upon its official release in April 2016. (Their fruit can also be found in our 2013 and 2014 Titan Willamette Valley Pinot Noir and our 2015 Prelude Rosé of Pinot Noir wines.) Pre-orders accepted now.